Last night the most incredible, kind and generous thing happened. 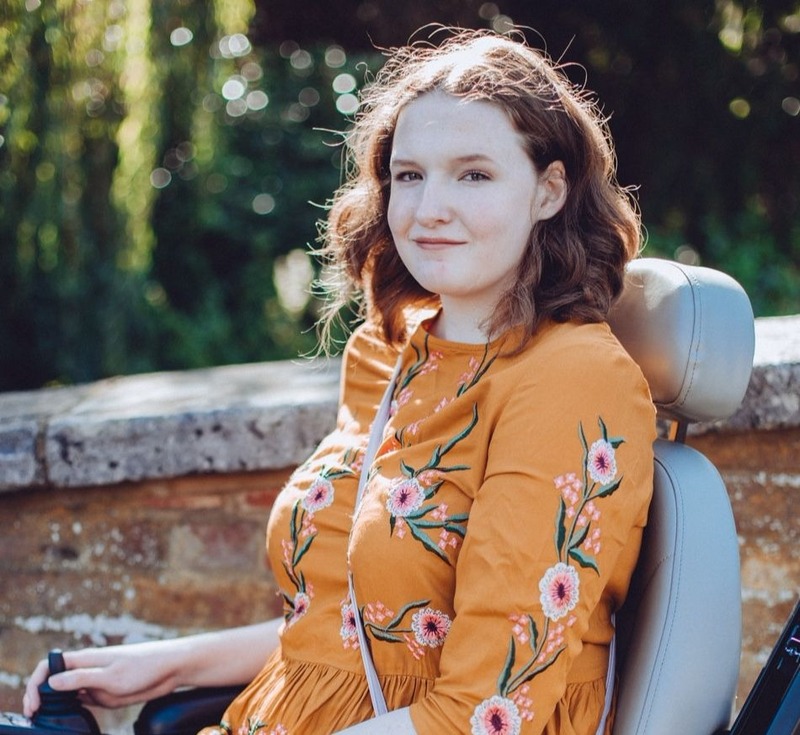 I'll give you some context first though, you probably all know that for the past 3 weeks I've been trying to raise the money to get a powerchair and up until yesterday evening I'd raised about 55% of the money needed thanks to family, friends and bloggers. This week the local paper kindly shared my story and did an article about me raising the money, I thought maybe it would bring in a few small donations here and there and I was just happy to raise some awareness. This is where things got a little crazy though, you might have already seen on Twitter! An extremely kind woman who must live just around the corner from me saw my story in the paper and donated the remaining amount of money that I needed, nearly £900. When I found out I was crying and shaking a lot and still now I cannot believe it. I thought it would take months and months to raise the money needed but now I'll be getting my powerchair within just a few weeks. I've been talking to her via email and trying to say thank you in the best way I can but words really aren't enough so once I have my chair I'll hopefully be meeting her to say a proper thank you as her generosity will change my life. I also want to say the biggest thank you to all of you though, other than her donation it was fellow bloggers that donated the most, nearly £1000 between you all! That is just insane and I know there has been a lot of negativity around at the moment but this just proves that together we are able to do some amazing things. I will forever be grateful for the support I have received in such a short space of time, the biggest thank you to anyone who donated or even just shared the link! I really cannot explain how much having a powerchair will change my life. I'm excited to do simple things like go to the local shop, it has been years since I've done that. I've just got to wait for all the money to transfer, which will take about a week, and then I'll be ready to go! 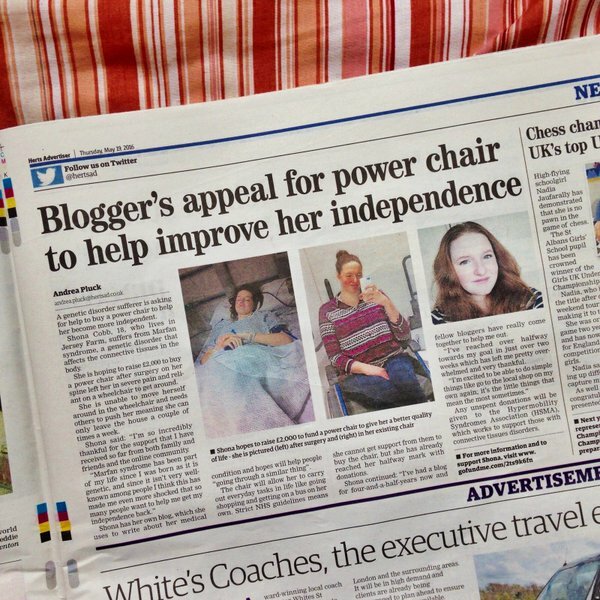 I'll definitely be doing a blog post when I get the powerchair so you can all see what you helped achieve. For now though, thank you. I will never be able to say it enough.